Summer is officially here and it’s that time of the year to beat the heat and head to cooler climes, at least for a few days. Escape the oppressive heat by heading to Europe and discovering Europe differently - from the comfort of a cruise ship sailing in the azure blue waters of the Mediterranean! The Mediterranean coast is a treasure chest of mind-blowing tourist destinations, blessed natural beauty, and a cluster of some of the most beautiful countries in the world. If you wish to cruise in the Mediterranean, you have two options - a Western Mediterranean cruise that lets you explore the coastal cities of Spain, the serene beaches of France, the rich historical ruins of Rome and the winding lanes of Naples. The other option is an Eastern Mediterranean cruise where you will discover charming Venice, the historic town of Dubrovnik in Croatia and the party towns of Santorini and Mykonos in Greece. And to brighten up your summer all the more, no pun intended, the world’s best cruises are waiting to take you on a once-in-a-lifetime journey to explore all of Europe’s splendour. Almost all leading cruise liners, whether it is Celebrity Cruises, Costa Cruises, Royal Caribbean or Norwegian Cruise line, have six to nine day sailings in Eastern and Western Mediterranean starting from April till September. Celebrity Edge: Fresh off a fantastic run in 2018, Celebrity Cruises’ Celebrity Edge offers six to nine day cruises to the Western Mediterranean nations of Spain, France and Italy. Beginning from Barcelona, the cruise takes you to the Spanish locales of Valencia and the sun kissed beaches of Ibiza before moving northwards to the tranquil towns of Marseilles and Nice and then finally to mesmerising Florence in Italy. 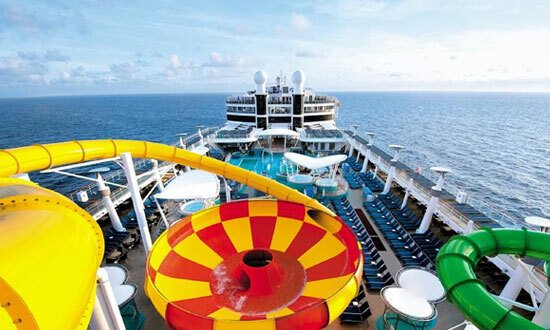 This cruise is ideal for those travelling with their families, from tiny tots to grandparents as there is enough here to keep them all enthralled with over 500 cruise activities for kids and teens. You will never be able to replicate the high of looking over the majestic Mediterranean Sea from the Magic Carpet, the world’s first cantilevered, floating platform that reaches the heights of 13 stories above the sea level, and unanimously the most lauded feature of this ship. MSC Bellissima: Not only world-class amenities that would rival those of any seven -star hotel, the MSC Bellissima also gives its guests Zoe, a voice enabled digital assistant fitted in every cabin. Zoe will help you navigate this complex ship and is your personal assistant onboard. MSC offers week long cruises from Barcelona to Valletta, the capital of the tiny paradisiacal island of Malta. Visit the St. John’s Cathedral, the Grandmaster’s palace and the upper Barraka gardens, while experiencing this truly unique architectural blend of ancient Rome and Persia. Also on the itinerary, is the island of Sicily, nestled in the arc of emerald blue waters, with some of the most scenic coastlines. 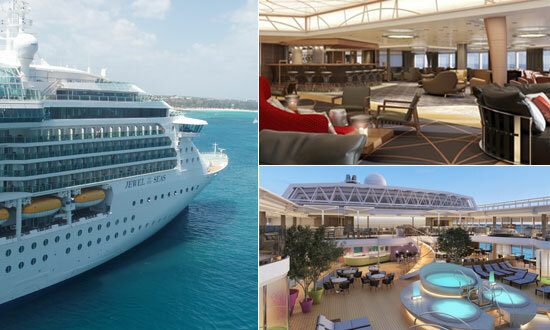 While onboard, your comfort and entertainment choices include 12 international dining venues, 20 bars, 2 brand new shows of the internationally loved Circe du Soliel, as well as an exclusive desert themed Water Park for the whole family to enjoy! 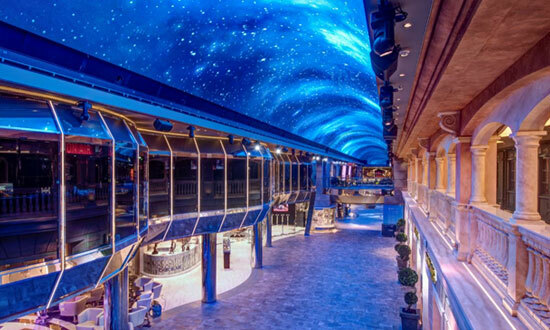 Oasis of the Seas: Royal Caribbean’s Oasis of the Seas stands true to its name. It is truly an Oasis (ironic though it may sound, in the middle of the ocean), for it provides all the bounties (whether they be culinary, adventurous, luxurious or ones of simply wanting to spend magical moments with your loved ones) under one roof. 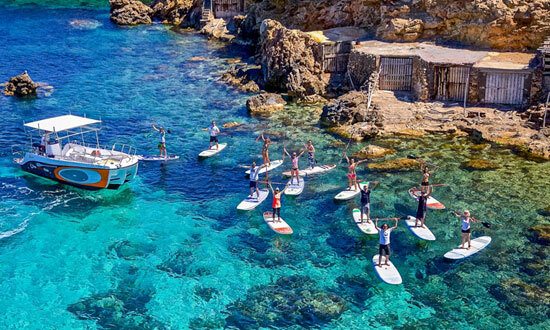 While you tour the Western Mediterranean countries, you can also do rock climbing with the glorious ocean as your spectator, watch Olympic class divers perform stunts in the Splish Splash, watch a Tony award winning Musical- CATS - and savour some of the best cuisine from the remotest corners of the earth. Starting from Barcelona, the cruise stops at Palma de Mallorca, the heart of Spain’s cultural heritage, then to the cool, beautiful town of Provence where you can embark on a steep climb to the neo-Byzantine Basilique Notre-Dame de la Garde and see the world famous fountain at Palais Longchamp. 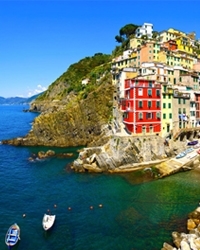 You further get to explore the Italian towns of Florence, Pisa Naples and the Roman capital. Norwegian Epic: Experience the best of France, Italy and Spain cruising onboard Norwegian Cruise Line’s classy Norwegian Epic cruise ship. This truly Epic ship promises to make your experience across Europe all the more enriching with its week long cruise taking you to Cannes in France, Rome, Florence, Naples in Italy and the Palma de Mallorca in Spain. 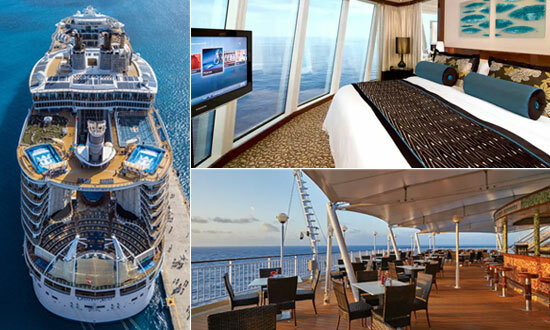 The ship has over a dozen world class restaurants, spas, relaxation venues, water slides facing ocean side, beach clubs, Broadway shows, and most importantly, one of the largest active Casinos on sea. One experience is sure to stay with you is the walk along the French Riviera while in Cannes and understand why all of Hollywood’s stars flock to this gem of a city! Costa Luminosa: Also called the Ship of Light, a week-long cruise to the ports of Venice, the Greek isles of Mykonos, Santorini, Katakolon and Bari shall be made all the more luminous owing to the sophistication, grace and innovation of this ship. Keeping up with its theme of exuberance, the ship has over 1100 cabins in every class and variation, four fine dining restaurants, 11 bars, Sports and recreation clubs, a world class Spa, a 4D Cinema Hall, a Casino, shopping centres, a huge library as well as a virtual world that will surely mesmerize your children. A highlight of this itinerary is a visit the city of Olympia in Katakolon - the venue where the world’s first Olympic Games were held. 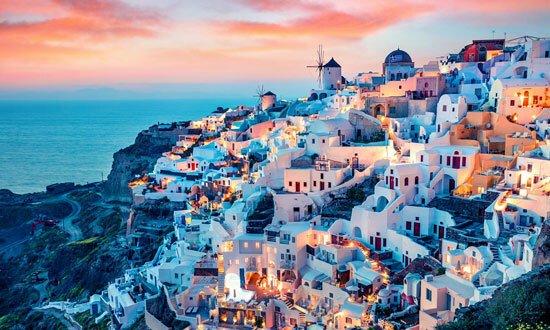 Jewel of the Seas: Recently renovated with upgrades that make cruising all the more enriching, Royal Caribbean’s Jewel of the Seas offers seven night Eastern Mediterranean cruises from Rome and takes you to Santorini, Mykonos, Athens and Katakalon. While onboard, see dive-in movies while relishing the sunny Mediterranean sun, watch West End and Broadway blockbuster shows, go rock climbing, learn dancing, go back to the seventies for an epic Retro Disco themed party or simply gaze at the canopy of the sky from the upper deck. Jewel of the Seas prioritizes comfort for the guests over everything else - they have specific baby-friendly cabins with cribs and supplies, exclusive couples’ retreats having spa-like arrangements in the staterooms, as well as special needs-accommodative cabins. MS Koningsdam: First of Holland America’s Pinnacle class ships, MS Koninsdam is also the pinnacle of panache and nautical traditions when it comes to its music themed ship design, fluid lines and speed. 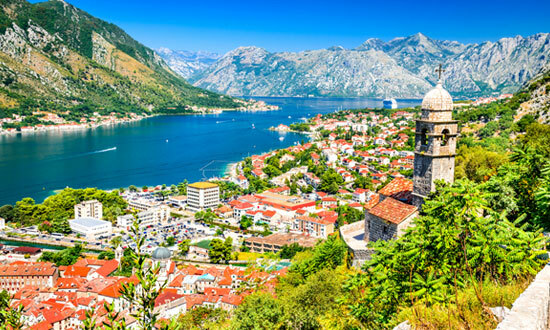 The 14 day cruise moves eastward from Rome, calling in at the Greek isles of Argostoli, and the gem of the gulf of Kotor - Montenegro. The next stop is Croatia with the ship docking at Dubrovnik, Split and Korcula. Walk around the real King’s Landing, and see a grand 4th Century Diocletian’s Palace in Split. The emerald green waters of Corfu, the sun kissed lanes of Malta, and the ancient port city of Catania on Sicily’s East Coast are the next on your line-up. The ship has an exclusive feature called the ‘Exploration Central’, an immersive on-board programming designed to make the journey more engaging and meaningful. There are host of other activities and entertainment options at your disposal, with a live cookery show, an annual Rolling Stone Rock concert, BBC Earth experiences to see the best of the Marine life beneath, and an array of restaurants and fine dining avenues to pick from. 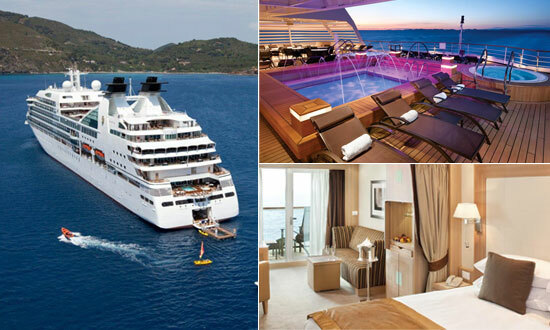 Seabourn Odyssey: Starting from June 2019, Seabourn Odyssey takes you on a nine day exploration of Adriatic and Greek Isles. The cruise covers ports of Venice, Sibenik in Croatia, Kotor, Corfu, Sami – Cophalonia, Gythion, Nafplion and Athens. After departing from Venice, the cruise docks at Vodice (Sibenik) in Croatia, a popular seaside town on the Dalmatian coast of the Adriatic Sea. Be sure to explore its unique pebble and sand beaches blending into the warm coast of the Adriatic Sea. While in Kotor, you can also visit the coastal towns of Sveti Stefan and Budva and enjoy kayaking along the Kotor Bay. The Montenegrin Wine Country is an absolute haven for all wine enthusiasts, with its exclusive wine tasting and spread of local delicacies. While onboard, take a fill of the gorgeous scenery as you enter the coast of Nafplion from the Observation Bar, socialize with fellow guests at The Club, relish in updated versions of Iconic dishes at The Grill by Thomas Keller, or just order in-suit after a long day of exploration! Apart from these ships, Oceania Cruises’ Sirena, MSC’s Sinfonia, Princess Cruises’ Emerald Princess, the Azamara Quest, the Wind Star and Norwegian Star all offer equally lucrative, engaging and unique cruises to the Eastern Mediterranean. Each cruise mentioned in this list (in no order of preference whatsoever) has something different and alluring for its guests. Whether you go west or east, Europe is sure to leave its imprint and impact on you. Go explore these towns, climb rocks, dive deep underneath the ocean, see the homes of Emperors, go fishing in Corfu or see the grandeur of Roma on your European cruise holiday. A whole new experience awaits you, with the blue Mediterranean as your constant companion. Book now, for a summer like no other!